William T. Hornaday, circa 1926, the year he retired as director of the New York Zoological Park, or Bronx Zoo. A passionate defender of wildlife, William T. Hornaday (1854-1937) was well known during his lifetime for his closely linked roles in the worlds of zoos, natural history, and wildlife conservation. He served as the first director of the New York Zoological Park, known today as the Bronx Zoo, and he was a pioneer in the early wildlife conservation movement in the United States. William Temple Hornaday was born December 1, 1854 outside of Avon, Indiana. In 1856, his family moved to a farm in southern Iowa surrounded by extensive, rolling prairie, and Hornaday was drawn to native wildlife at an early age. He attended Oskaloosa College in 1871 and then went on to Iowa State Agricultural College (now Iowa State University). Later, he received three honorary degrees, including one from Yale University. While at Iowa State, Hornaday served as taxidermist for the college museum, but he left in his sophomore year, November 1873, for a position with Henry Augustus Ward’s Natural Science Establishment in Rochester, NY. Hornaday’s work with Ward led to opportunities for extensive travel on collecting trips and allowed him to develop his reputation as a field naturalist. His travels in the Caribbean, West Indies, South America, and Asia hunting animals for taxidermy displays—along with the experiences of his youth and his later confrontation with the bison slaughter—shaped his complex philosophy toward wildlife. Hornaday’s work with Ward also furthered his expertise as a taxidermist. In his taxidermy practice, he moved the field away from presenting animals as isolated in static, unnatural poses. He introduced the concept of displaying them surrounded by their natural element, and he refined new techniques to present animals in more naturalistic attitudes. He founded the National Society of American Taxidermists in 1880, and he was named Chief Taxidermist of the US National Museum in 1882. It was in his capacity as Chief Taxidermist that Hornaday travelled to the American West in 1886. With the American bison on the brink of extinction due to overhunting, he hoped to collect a few bison and preserve them for posterity through taxidermy. Personally witnessing the deliberate decimation of the bison herds, and the general public indifference to it, set Hornaday on the path of a fifty-year struggle devoted to protecting wild animals and educating the public about threats to wildlife. With these goals in mind, Hornaday spent the late 1880s lobbying for the bill that would eventually establish the National Zoo in Washington 1889. After leading the design of the new national zoo and promoting a vision of captive breeding programs for endangered species, Hornaday resigned in 1890 after disagreements with Smithsonian Secretary Samuel Langley. He spent the following six years working in real estate. 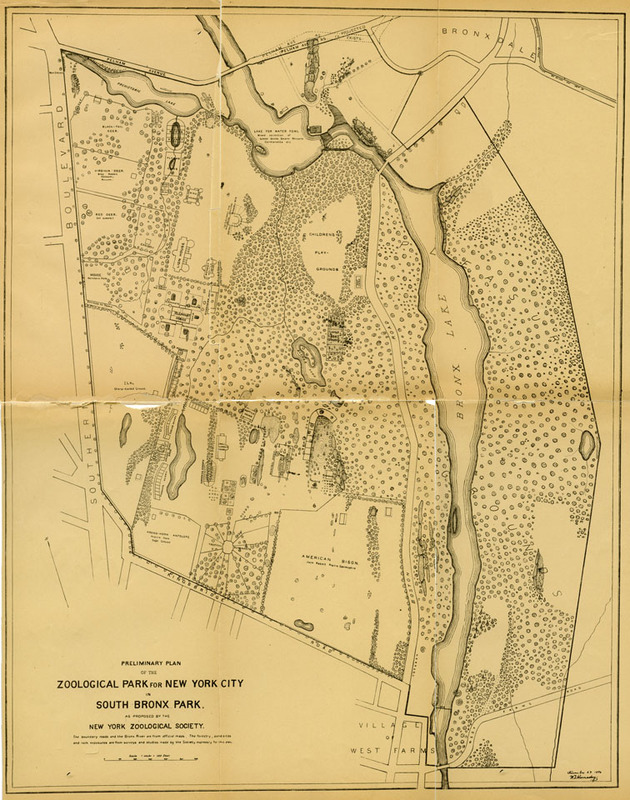 Preliminary plan of the Zoological Park for New York City in South Bronx Park, 1896, illustrated by William T. Hornaday. In 1896, the newly chartered New York Zoological Society (known today as the Wildlife Conservation Society) enticed Hornaday back to the zoo field by offering him the opportunity to create a world-class zoo. Hornaday played a commanding role in selection of the site for the New York Zoological Park—he hated the nickname “Bronx Zoo”—which opened in 1899, and in the design of early exhibits. He served in the triple role of Director, General Curator, and Curator of Mammals until he retired in 1926. Among his several activities, he established one of the world’s most extensive collections, insisted on unprecedented standards for exhibit labeling, promoted lecture series, and offered studio space to wildlife artists. In the Bronx, Hornaday changed the perception of zoos from amusing curiosities to centers for education about wildlife and their protection. 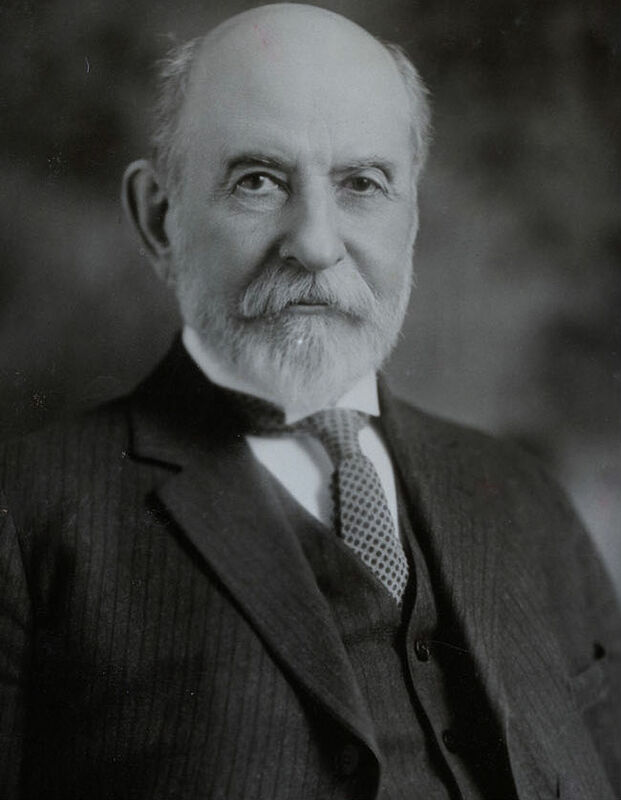 After his retirement, Hornaday was appointed Director Emeritus and continued to crusade for the protection of wildlife up until the week before his death on March 6, 1937, at age 82, in Stamford, Connecticut. He was survived by his beloved wife of 58 years, Josephine, and his daughter, Helen. Hornaday’s advocacy is credited with preserving the American bison from extinction. On returning from his 1886 trip to the American West, he published The Extermination of the American Bison (1889), both a scientific work and a call for social action, and began speaking publicly on the subject. He created the bison exhibit for the National Museum, which helped to galvanize public opinion on the slaughter. He initiated his campaign for a national zoo, hoping to propagate bison in captivity, and he began to plan, with Theodore Roosevelt’s support, a society for the protection of the bison. Years later, as director of the Bronx Zoo, Hornaday acquired bison, and by 1903 there were forty bison on the Zoo’s ten-acre range. In 1905, the American Bison Society was formed at a meeting in the Bronx Zoo’s Lion House with Hornaday as its president. When the first large-game preserve in America was created in 1905—the Wichita National Forest and Game Preserve—Hornaday offered fifteen individuals from the Bronx Zoo herd for a reintroduction program. He personally selected the release site and the individual animals. By 1919, nine herds had been established in the US through the efforts of the American Bison Society. At the start of Hornaday’s career, wildlife conservation was a little-known concept, and federal legislation on such matters was rare. Yet the bison was not alone in its plight: the passenger pigeon was in its final decline, and hundreds of thousands of birds were being slaughtered worldwide to decorate women’s hats. During his lifetime, Hornaday published almost two dozen books and hundreds of articles on the need for conservation, frequently presenting it as a moral obligation. 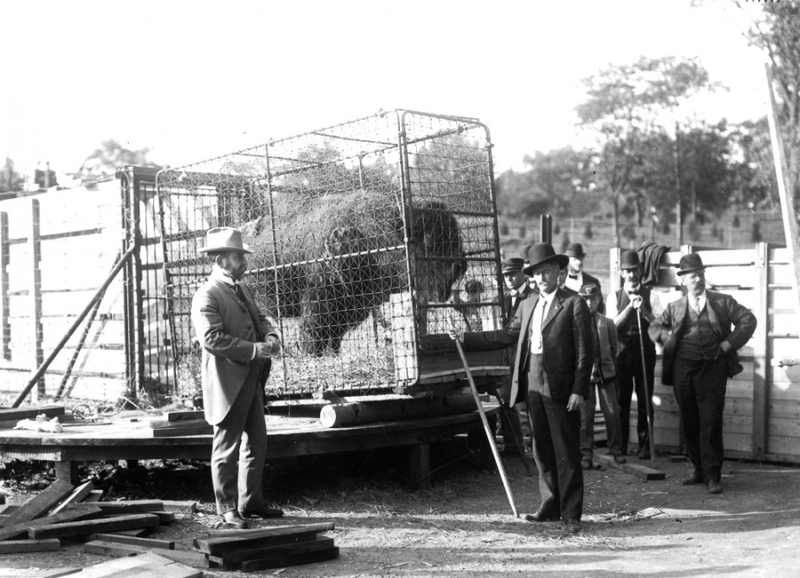 Hornaday (left) with bison crated for shipment from the Bronx Zoo to the Wichita Mountains Wildlife Refuge, 1907. Today, Hornaday is often known not for these efforts but for his shameful decision to present the Congolese pygmy Ota Benga as a zoo exhibit in 1906. Although his thinking on non-human life was progressive and even revolutionary, his thinking on his own species was certainly racist. His racism was not remarkable for his time, but it was far from universal, and the exhibit was met with immediate outrage and discontinued after three days. Famously irascible, Hornaday never apologized for the incident and rarely for any criticism ever offered him. Indeed, his hot temper and obstinacy also hindered the success of some of his conservation efforts. Even so, Hornaday was a pioneering force in the early wildlife conservation movement, and he influenced such figures as Aldo Leopold, Rosalie Edge, and Olaus Murie. In 1914, Hornaday created the Wildlife Protection Medal to recognize and encourage important contributions to conservation. The Boy Scouts of America carried on this tradition after his death, and they continue to present the William T. Hornaday Award for distinguished service to conservation and environmental protection. Perhaps most significant, his wildlife protection initiatives laid the foundation for the work the Wildlife Conservation Society continues to carry out today. This biography includes text written by Susan Leiter, WCS Department of Ornithology, and Steven P. Johnson, former WCS Librarian and Archivist. Bechtel, Stefan. Mr Hornaday’s War: How a Peculiar Victorian Zookeeper Waged a Lonely Crusade for Wildlife that Changed the World. Beacon Press, 2012. Dehler, Gregory J. The Most Defiant Devil: William Temple Hornaday and His Controversial Crusade to Save American Wildlife. U Virginia P, 2013.